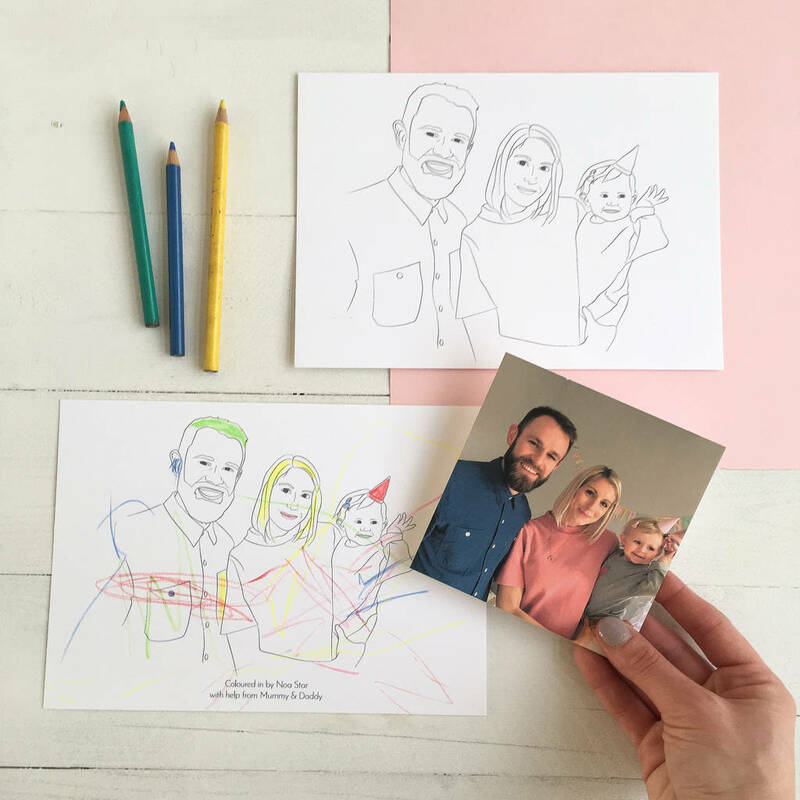 Create a modern keepsake with this personalised colour in family portrait print - a line drawing that your child can colour in! 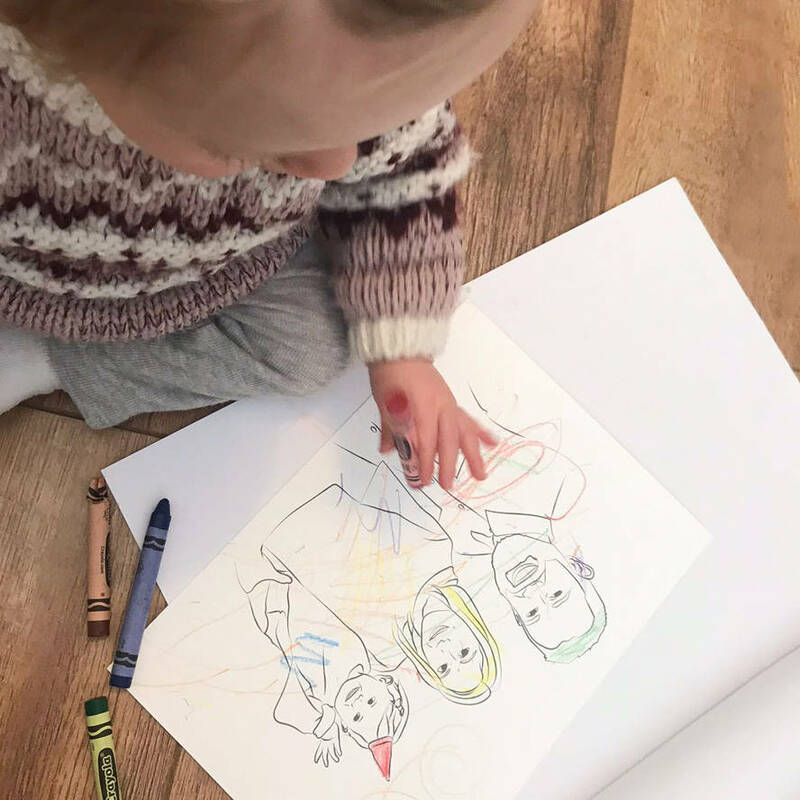 This bespoke portrait will create a meaningful memento that your child has added to and you can treasure and display. 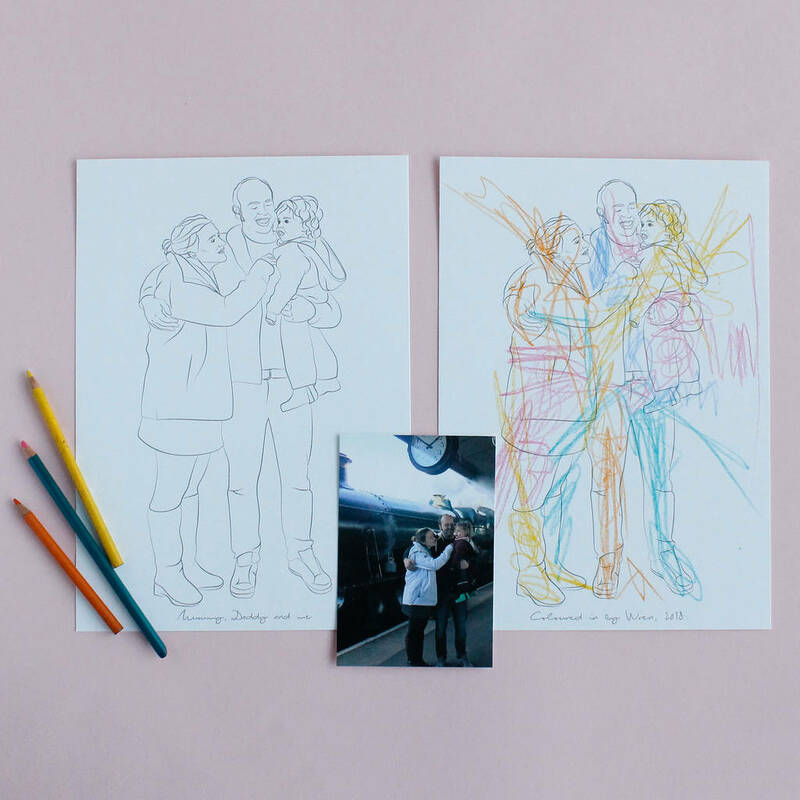 You’ll receive two prints and you choose how you use them! 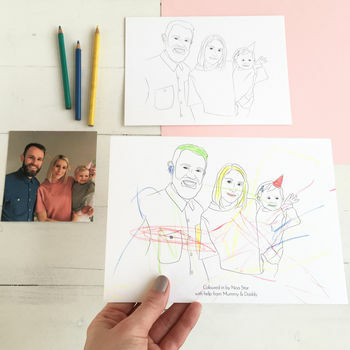 Either one for your child to colour in, one for the parents to colour in, a practise run, a gift for grandparents or one to keep as it is! Choose to add a different personalised message to the bottom of each print, with an option to choose from five fonts. Ideal for children from one year old, or as soon as they can colour in. 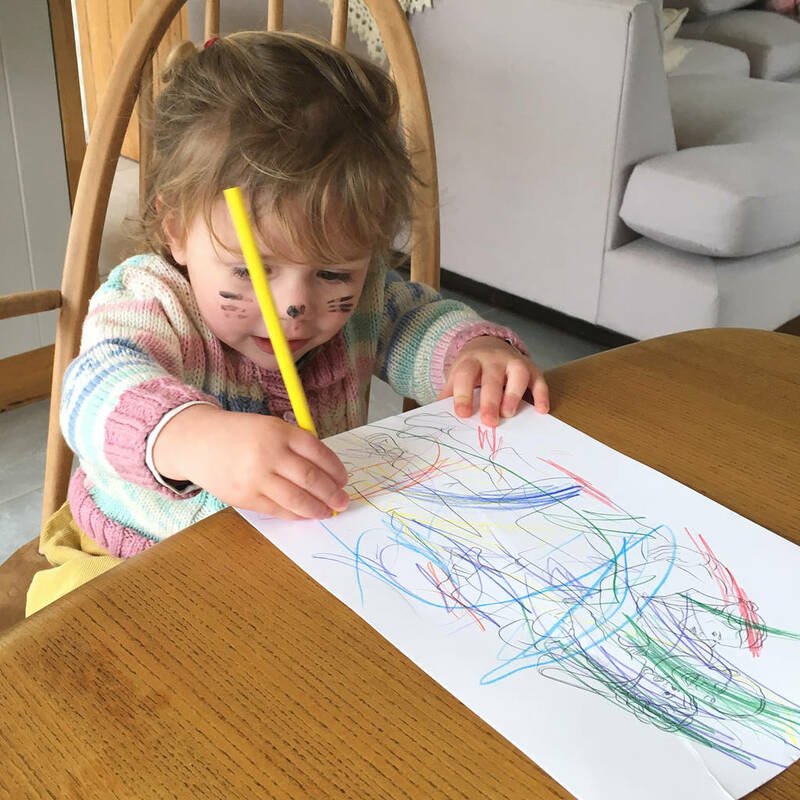 The age your child is will result in different colouring in results. 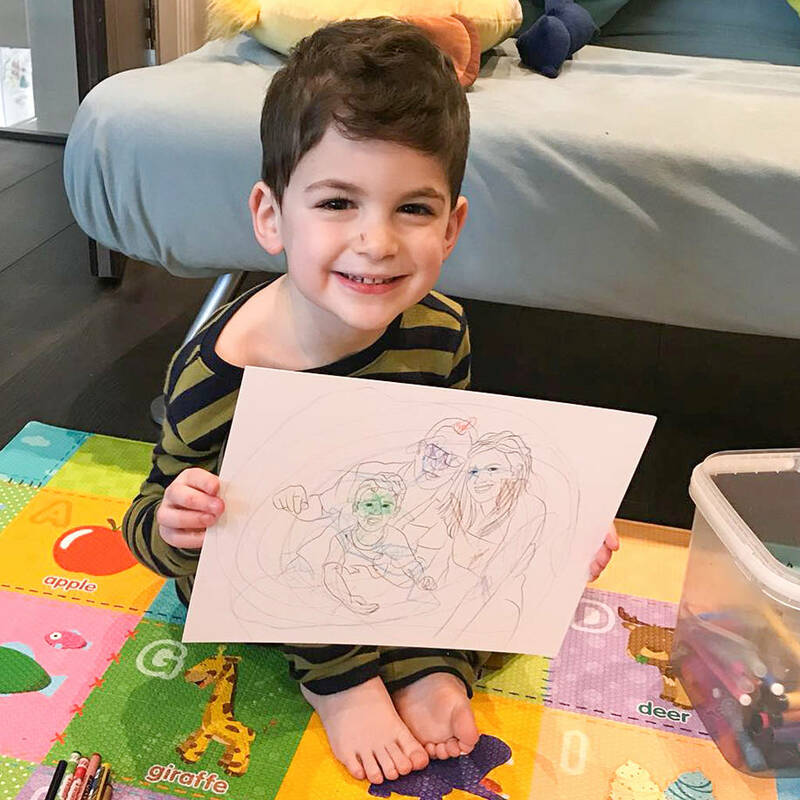 Children around two years old can recognise family members in the portrait which can engage them in the activity further. 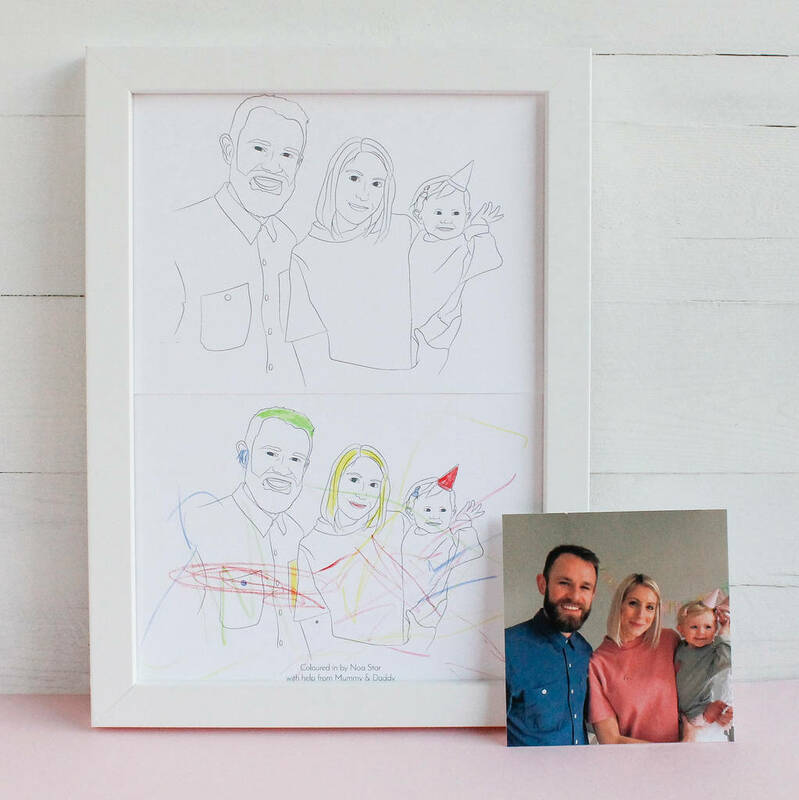 Create a new heirloom for your family that's perfect for Father's Day, birthdays, Grandparents or to welcome a new baby to the family. The line drawing is created using a loose drawing style. Teeth are not included, neither is precise details of clothing or backgrounds. Ideal for use with pencils, crayons or poster paints. The paper is not suitable for watercolour paint as the paper rubs away if it gets too wet (so not ideal for little ones). 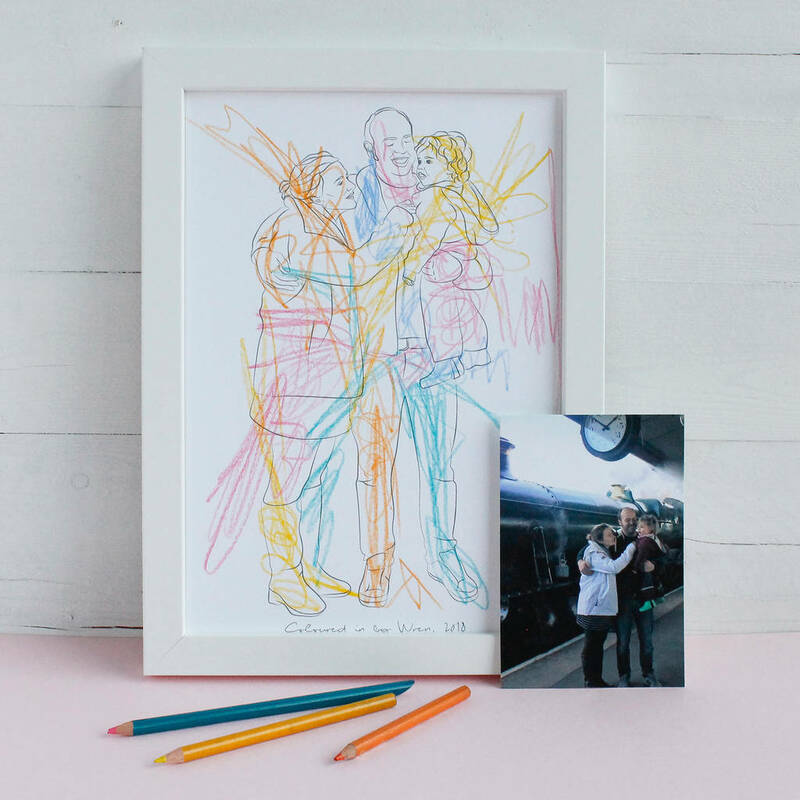 After you’ve completed your order please send us your chosen photograph. Go to ‘my orders’ and click ‘contact seller’. Upload your photo by using the browse button. Please upload a clear, high res photo for the best result. Prints are not framed or mounted so you can choose how to display your keepsake that’s in keeping with your home. 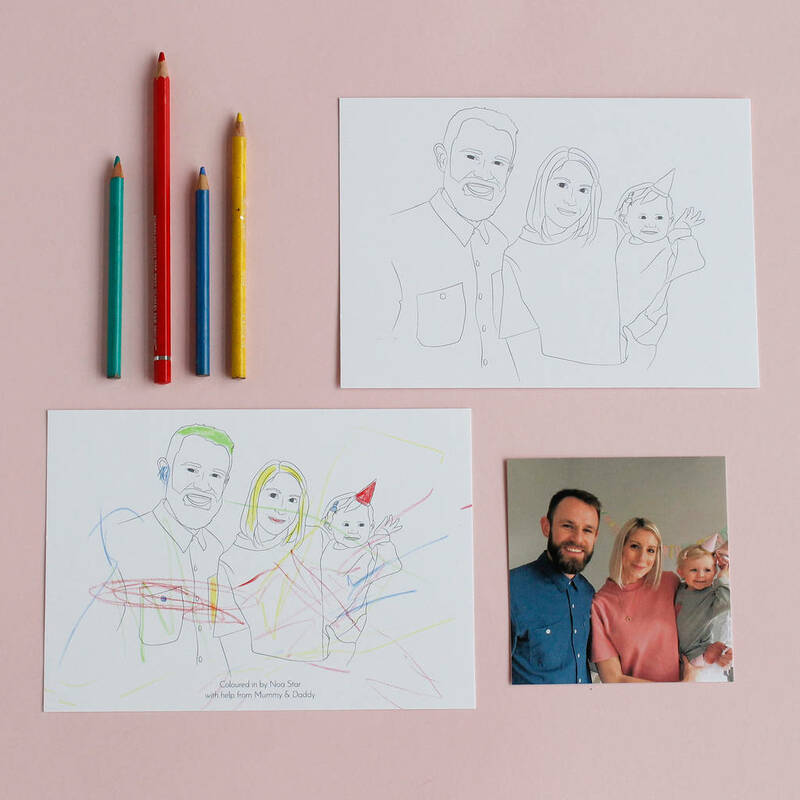 Each illustration is designed and drawn by Joanne, founder of Arnold & Bird in her Milton Keynes studio. Printed onto premium uncoated 352gsm card that is acid-free, archival quality, FSC Certified and manufactured with wind power! UltraChrome HD pigment inks are used with recyclable ink cartridges. 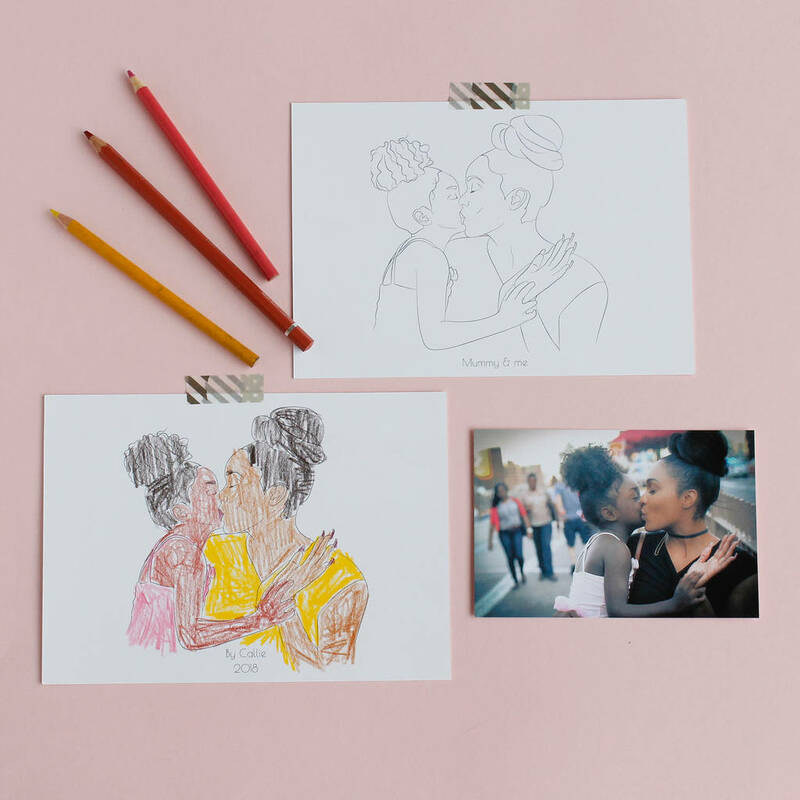 Prints start at A5 size, but you can also order A4 for larger keepsakes. 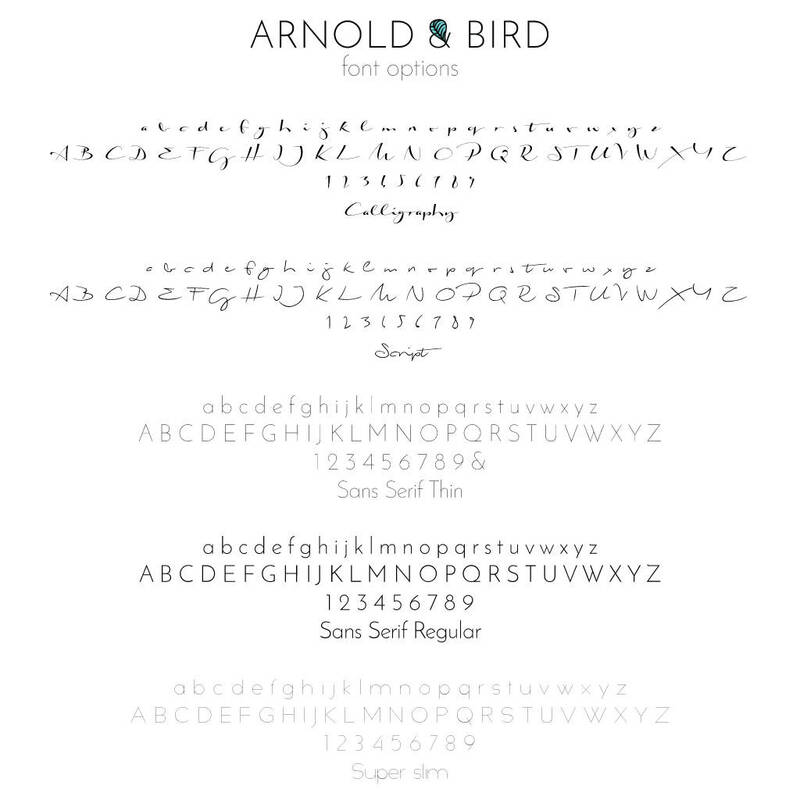 This product is dispatched to you by Arnold & Bird.